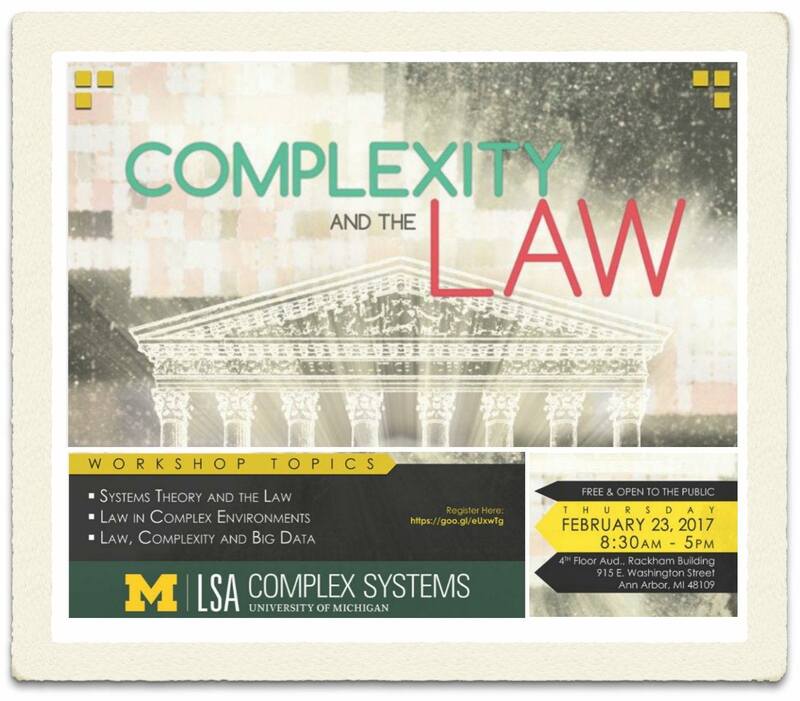 Mike and I had the great pleasure of spending several years at the University of Michigan Center for the Study of Complex Systems where John Holland spent a fair amount of his time. 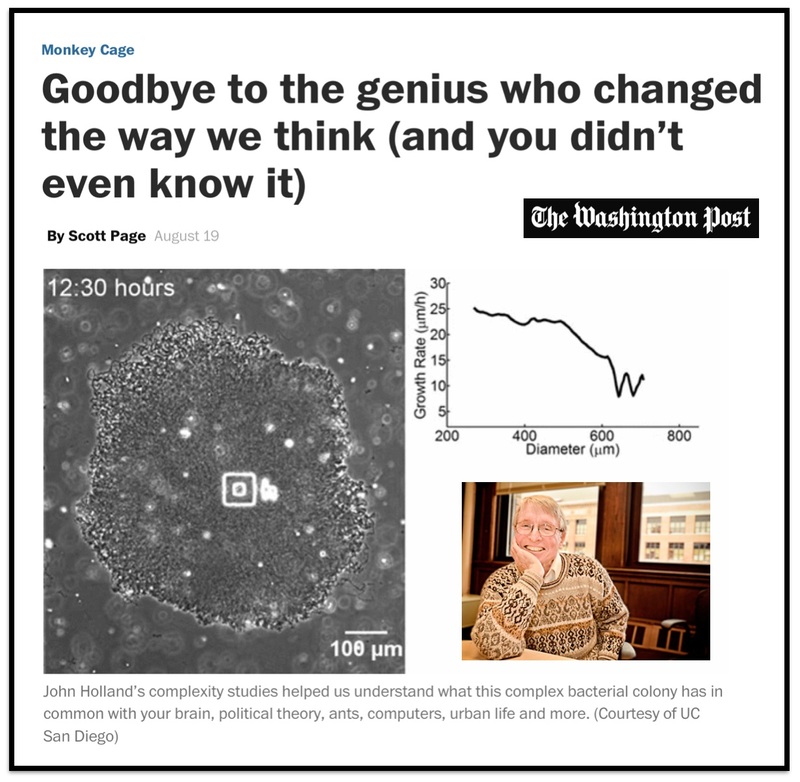 He was a very giving person and of course – a true genius! Rest in peace. What are the elements of the network? Why do cases not always enter the visualization when they are decided? 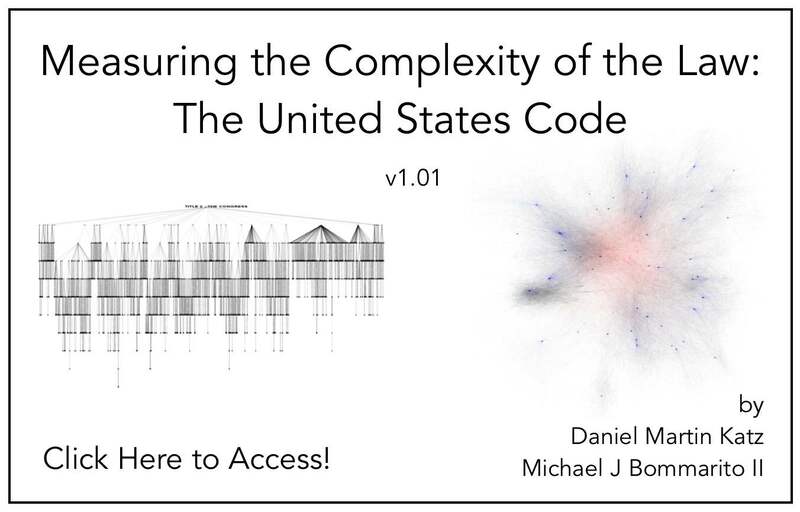 As we are interested in the core set of cases, we are only visualizing the largest weakly connected component of the United States Supreme Court citation network. Cases are not added until they are linked to the LWCC. 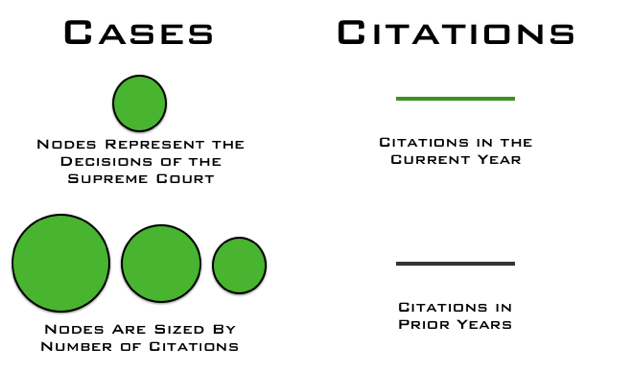 For example, Marbury v. Madison is not added to the visualization until a few years after it is decided. How do I best view the visualization? Given this is a high-definition video, it may take few seconds to load. We believe that it is worth the wait. In our view, the video is best consumed (1) Full Screen (2) HD On (3) Scaling Off. 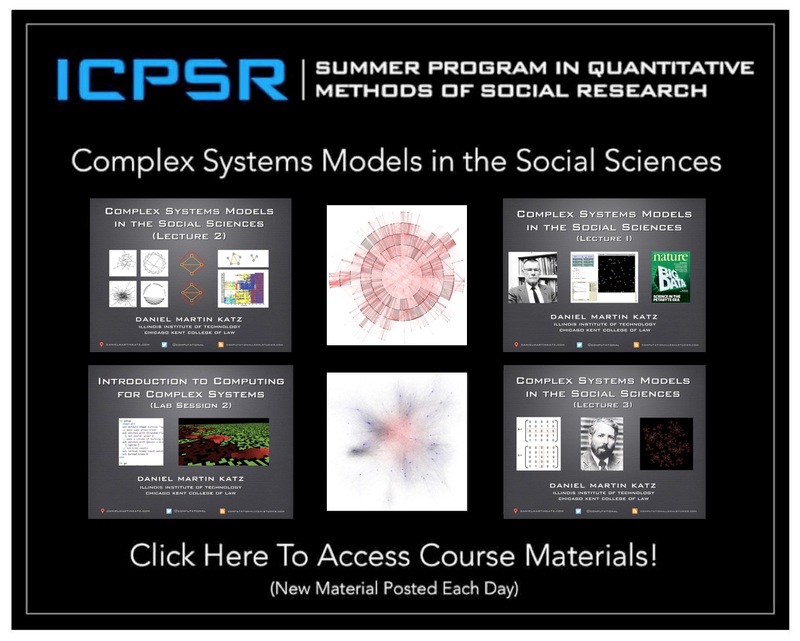 Where can I find related papers? Michael Bommarito, Daniel Martin Katz, Jon Zelner & James Fowler, Distance Measures for Dynamic Citation Networks, 389 Physica A 4201 (2010). 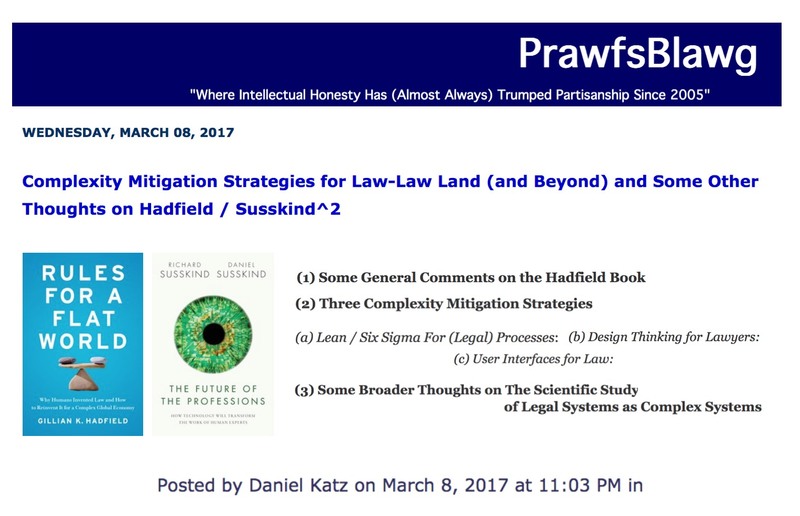 Michael Bommarito, Daniel Martin Katz & Jon Zelner, Law as a Seamless Web? 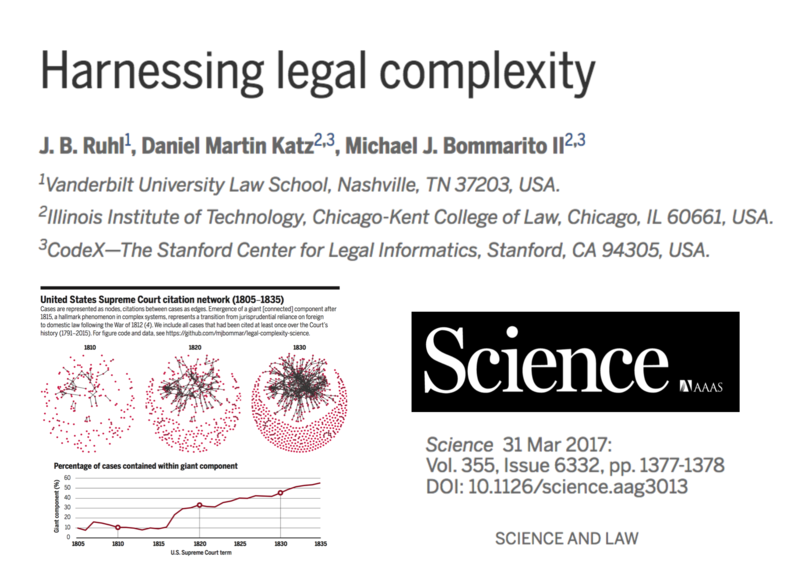 Comparison of Various Network Representations of the United States Supreme Court Corpus (1791-2005) in Proceedings of the 12th Intl. Conference on Artificial Intelligence and Law (2009). 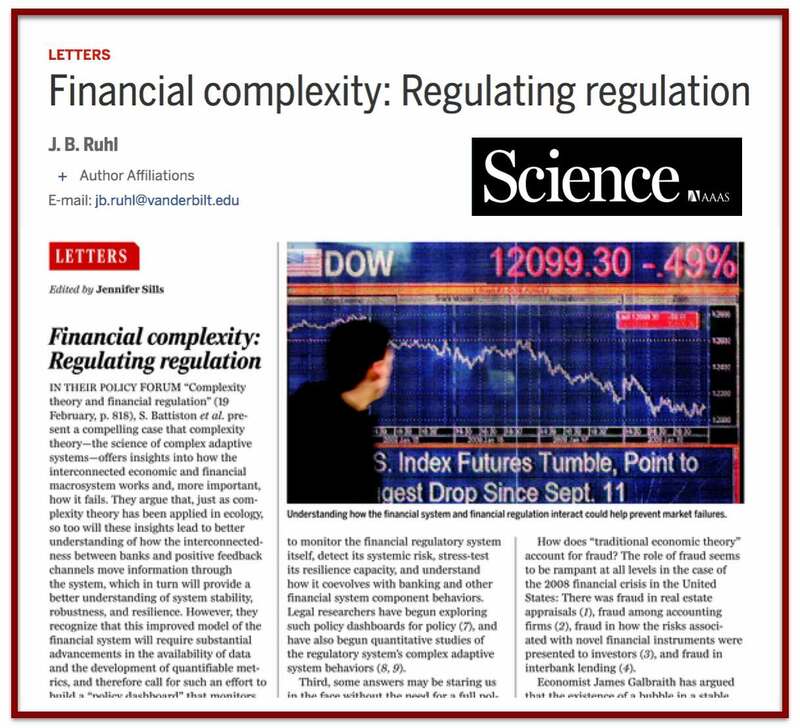 This is a draft version so we invite your comments (katzd@law.msu.edu) and (michael.bommarito@gmail.com). Also, for those who might be interested – we are building out a full replication page for the paper. 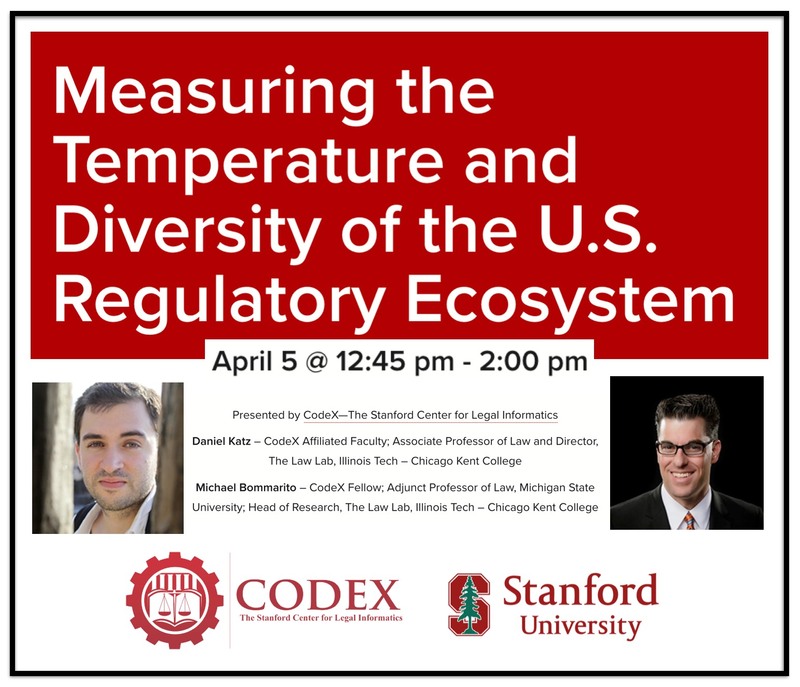 In the meantime, all of the relevant code and data can be accessed at GitHub and from the Cornell Legal Information Institute. 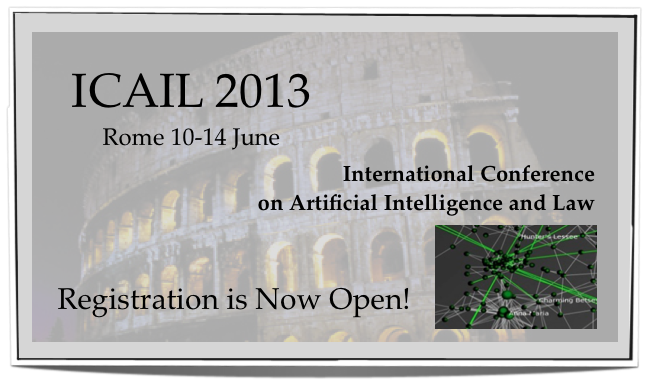 As a member of the AI+Law 2013 Program Committee it is my pleasure to invite you to attend the International Conference on Artificial Intelligence and Law – Rome 2013 — June 10-14. 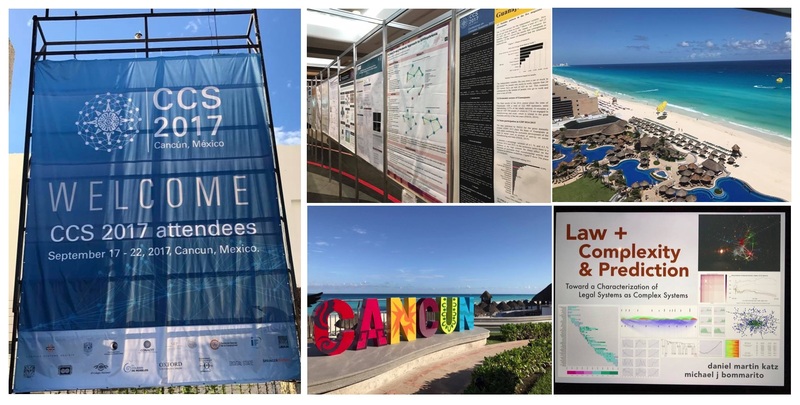 The conference will feature the core program of peer reviewed papers, research abstracts and project demos. 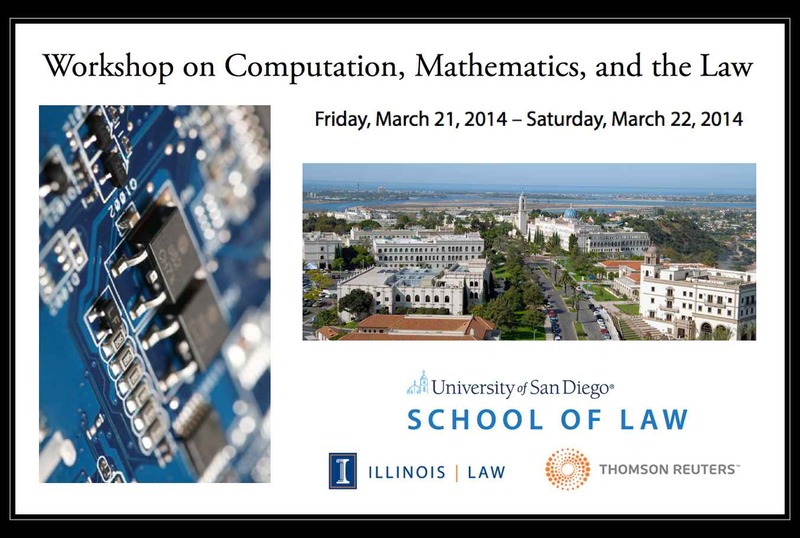 In addition, the conference features two days of workshops and tutorials in topics such as Computational Models of Natural Argument, Textual Extraction from Legal Resources, Machine Learning in E-Discovery, Network Analysis in Law, XML Schemas for Legal Rules, Data Driven Artificial Intelligence in Law, etc. 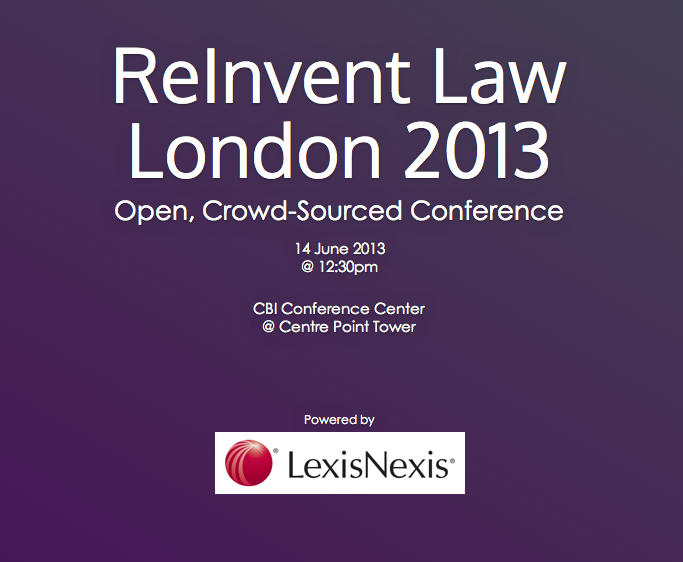 I hope to see you in Rome this Summer for AI+Law 2013!